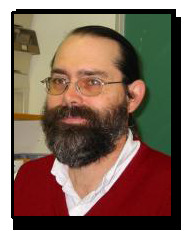 PROFESSOR John Vaughn received his Ph.D. in Mathematics from the University of Illinois at Chicago in 1985. His research involved classifying almost strictly minimal first order theories. Since joining the faculty of HWS in 1985 he has expanded his interest in logic to computers and programming, particularly computer organization and hardware. He currently is involved in designing, building, and programming autonomous robots. Professor Vaughn retired from teaching in Fall 2018.